I’ve been a freelance copywriter for a couple of years now and one thing people often want to know is how to become a freelance writer. They want to know how someone like me, with no real background in writing, managed to find a way to get paid to write. More importantly, they want to learn how to be a freelance writer themselves. 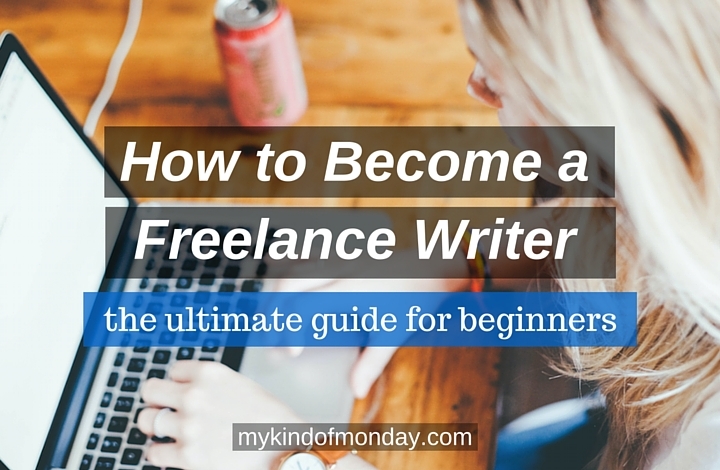 In this guide, I will give you an insight into my experience of being a freelancer and some tips on how to become a freelance writer yourself. By the end of it, you will have a better understanding of what a freelance writer does, what kind of writing jobs are out there and how you can get paid to write. The truth is, it’s not for everyone. It requires hard work and dedication. It requires tough skin and persistence. The good thing is, that it doesn’t require a fancy degree and lots of experience. At least, not in most cases. Yes, it’s going to take time. No, it’s not going to be easy. At least, not that easy. You just need to go out there and do it. What is a freelance writer? For those of you who aren’t sure what freelance writing actually entails, let me give you a quick overview. 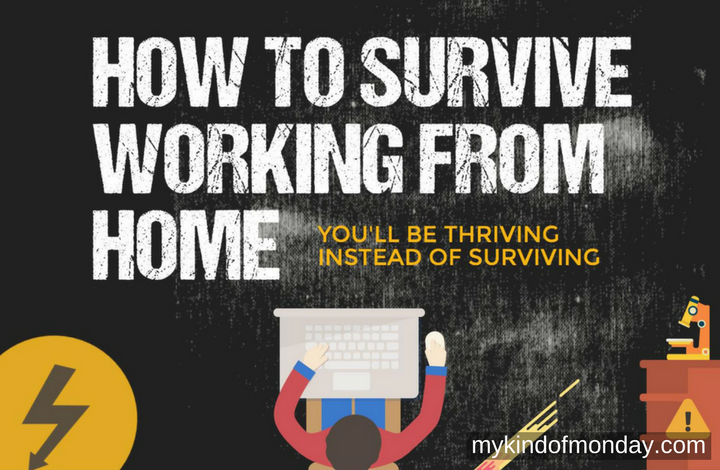 Freelance writers are essentially contracted employees who tend to work from home, submitting their work online. They typically get paid per writing assignment, or batch of writing assignments, and usually work for multiple clients. You might work directly with clients, or through agencies or online work exchanges. I only do freelance writing jobs on a part time basis, but there are plenty of people out there that have managed to turn it into a full time career. That’s the great thing about online writing jobs – they offer you so much freedom and flexibility. If you’re interested in learning how to become a freelance writer, but aren’t quite sure what kind of job opportunities there are, let me give you an idea. 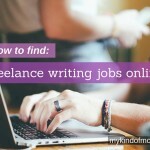 While this list doesn’t cover every type of freelance writing job out there, it gives you a good idea of some of the main work you can expect to come across. Article writing: One of the most popular freelance writing jobs out there is article writing. This is essentially content writing for websites, but tends to focus on SEO rather than creating a sales copy. Writing which focuses on SEO (search engine optimization) is necessary for companies that are trying to rank for certain keywords in Google. For example, you might be asked to write an article about “Family Dentist in Texas” or “Teeth Whitening in Texas”. By having content on their website that includes these keywords, Google sees them as relevant and points users searching for these terms to their website. There’s a lot more to it than that, but that gives you a basic idea if you don’t know anything about SEO. Projects can range from creative to technical writing and cover a wide variety of topics. Most of the time, the writing doesn’t need to be amazing, as long as it makes sense, is written in good English and focuses on the right keywords. These types of articles are relatively easy to master from my experience, but it’s worth doing a bit of reading to have a better understanding of what people expect from you. It still takes time to learn the right style when you’re first starting out. Copywriting: Freelance copywriters are those who write ‘copy’ for commercial use. This copy will typically be used for websites, digital media, advertisements or printed marketing. Basically, you are writing text that is meant to either provide people with information, or persuade them to buy something. With the rise of content marketing, copywriting jobs have become much more popular. The lines between journalists and copywriters continue to blur, but generally copywriters will be asked to write marketing copy about a brand and then receive payment from the brand’s owner. eBook writing: If you prefer investing more time into projects and are happy to write a lot on one particular topic, you should consider writing eBooks. These can range for short eBooks (5-10 pages) to lengthy ones (50+ pages). You may be asked to write everything from scratch, or you may be given some notes and ideas to guide you. You might get paid on an hourly basis or work on a fixed budget. Budgets can start anywhere from $25 to $500 on websites such as Upwork. This could be a great option if you happen to have a great deal of knowledge or experience on a particular topic, in which case it’s easier to write a lot of content. Blogging: Blogging is hugely popular these days. Think about it, how many people do you know that have a blog? You would be surprised. With blogging, you can either start your own blog or write for other blogs. Some blogs will pay for content, with well-known sites paying $100+ for high quality content. If you’re thinking about writing for other blogs, then you need to be prepared. They are likely to get lots of requests, so you want to stand out. You need to make sure that you have samples of your work and get a good understanding of the blog, the type of work they usually feature and their writing style. Even if you plan on writing for other blogs, it helps if you have your own blog as a way to showcase your work. I found that bloggers get a better response from other bloggers, so it’s worth having one even if you just set up a free basic blog. If you want to know how to become a freelance writer, the first step is preparation. Just like many other things in life, preparation is key. Yes, learning to write and preparing samples of your work are both important steps, but one of the biggest hurdles you have to overcome is yourself. In order to be a freelance writer, you need to believe in yourself. You can’t sit there and think that you are not good enough, not experienced enough or not talented enough. There are plenty of pretty average writers out there getting paid to write. If they can do it, so can you. If you don’t believe in yourself, you’re just going to hinder your chances of success. Your lack of belief will come through, making it much more difficult to sell yourself to prospective clients. If you believe you can succeed, you’re much more likely to. 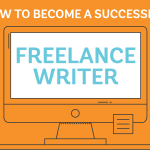 So, this may seem a bit obvious, but if you want to be a successful freelance writer, then you need to be a good one. You don’t have to be the best writer out there, just good enough. Remember, we’re not looking to win any literary awards here, just a freelance gig. 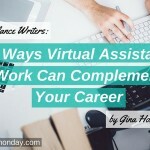 If you want to know how to become a freelance writer, you need to put in a bit of work. The best thing to do is simply to practice. Online content writing has it’s own rules, so it’s important that you take the time to find out what works. Everyone has their own writing style, but there are certain things that work best when it comes to freelance writing jobs. One of the main things to think about is structure. Think about all the articles you read online; they all tend to follow a similar basic structure (like this one!). Let’s take a look at the type of writing you need to do if you’re working on a blog or website. 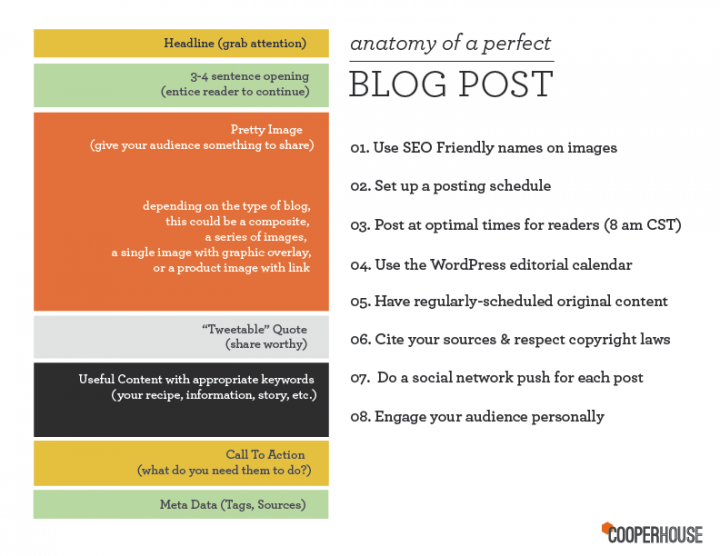 CooperHouse created this graphic to demonstrate the perfect anatomy of a blog post and it’s pretty spot on. Keep this in mind when doing your writing, because if you’re doing article writing for a blog post, this is the kind of thing your client is going to be after. You need a good headline, something that clearly shows what the article is going to be about. Two of the top-performing headline formats are list headlines (eg. Top 5 Tips To Become a Great Freelance Writer) or headlines that spark curiosity (eg. The Secret to Being A Great Writer Is Not What You’d Expect). You need to then go on to sell your article in the first few lines of the post in order to entice people to keep reading. These are the types of tricks that will help you to create sellable content. You need to understand your market, know what people expect from you and follow that process. The easiest way to do this is to do a bit of research. 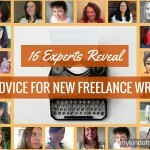 Read through freelance writing tips and take a look at what your competitors are doing. Then, try and replicate that, but put your own stamp on it. The thing is, while it’s important to believe in yourself, other people also need to agree that you are a good writer. That means creating content that can actually be published. In order to do this, you need to know what your clients expect from you. Look at lots of examples and practice! Every writer is different and will have varying levels of knowledge and experience in particular fields. It helps if you have an area in which you can consider yourself an expert. That doesn’t mean you need to know every single little thing about a topic, it just means you need to know more than most. If you love watching basketball, you probably know a lot about the players, teams, techniques and rules of the game. You would probably find it quite easy to write on the topic. You may love cooking and trying out different recipes at home. Again, you would probably find it easier than most to write about cooking certain meals. Even if you just know a little more than most, that’s usually enough. Being an expert in something makes it much easier to write about that topic and to offer something of value to readers. It also makes it a lot easier to market yourself and get higher paying gigs, if you can offer valuable advice on one particular topic. If you go down this route, you should try and read current news on the topic to really inject value into your writing. That being said, you don’t have to be an expert to write about a particular topic. It just means that you will have to do a bit of extra research, which will take more time. I’ve written articles on everything from plumbing, to marketing golf clubs and selling skylights. I in no way consider myself an expert in any of these fields, but with a bit of research, you can learn enough to write a decent copy. The most important thing in this case is getting the structure right and having a good understanding of what the client is after. You may be a great writer, but if you hand in work littered with spelling mistakes, it’s just not going to be good enough. It’s okay if it’s not perfect, everyone lets a mistake slip by every once in awhile, but you have to at least try. Not only are you making your client’s job that much easier, but you also come across as more professional and employable. Make sure you proofread all of your work before sending it over to the client. Make edits where necessary, even if that means investing more time into your writing. Clients often won’t have the time to go through your work and correct all of your mistakes, so they will appreciate you handing in a copy that’s basically ready to go. You can use a site such as Grammarly to help you along. This is a bit of a step up from your basic Word spellcheck, so definitely worth using if you are prone to making spelling or grammar mistakes. Just make sure you read over your copy at the end to ensure it reads well and still makes sense if you make any changes. There have been many times when I found that I had used the same wording or phrase in the space of 3 or 4 sentences, so it’s worth doing a final check. When you’re first starting out, it can be a bit tough to get clients. That’s why it’s important that you find a way to demonstrate any experience you have. You need to be able to prove that you’ve done similar work before, or that you are at least capable of doing so. I recommend starting an online portfolio. You can easily set up a free basic blog on WordPress.com and showcase some of your writing experience on there. You can upload a PDF of published content (don’t just copy/paste the words as that would be seen as duplicate content and could have a negative effect for your client) or you can write your own original content to show off your writing skills. If you don’t have any published writing to show off, you can try guest posting on other blogs or look for an unpaid blogging role. While you might not get paid for your writing to start off with, it’s important that you have a portfolio of work to show off once it comes to applying for jobs. Simply attaching Word documents won’t impress prospective clients, who will wonder why they weren’t published. Once you’ve prepared yourself, it is time to start looking and applying for freelance writing jobs. That’s right, you can’t call yourself a freelance writer until you’ve done some actual work. While the thought of putting yourself out there can be pretty intimidating, once you overcome that fear, you’re once step closer to fulfilling your freelance dream. If you want freelance writing work, you need to go out there and get it. You can’t wait around and expect these opportunities to simply fall in your lap. Especially not when you first get started. You need to go out there and start applying. You can look for work on online job boards and freelance sites such as Craigslist, LinkedIn, UpWork and FreelancerCircle. You can even make money on Fiverr by setting up your own gig. Social media can also work well and it doesn’t hurt to send out pitches to your favourite organizations or companies working in your area of expertise. You might not get a high response rate, but once you get a client, you might start to get steady work in. Building up relationships is important, so keep networking and find your circles. As you start to build up experience, you will likely start getting clients through word-of-mouth. As a freelancer, you really need to make your own luck. Finding new clients and projects to work on is part of the process, so get used to it. Don’t worry if it takes some time, that’s normal while you’re still trying to build up your experience and your reputation. You’re facing some tough competition, so you need to show people why you are right for the job. When you’ve found some clients you want to work for, it’s time to get to the pitch. If you’re applying for a job through a freelancer site, you will have to submit what is typically referred to as a “bid proposal”. This bid proposal is your opportunity to sell yourself, so take it seriously. You need to make employers want to hire you, so you need to put in a bit of time and effort to get this part right. It doesn’t matter how many proposals you send out, if they are below average you are not going to get the job. There is simply too much competition out there. That’s why you have to write a proposal that’s going to make your stand out from the pack. 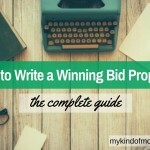 If you want to find out more about that, be sure to read my post on how to write a winning bid proposal. It may seem like a lot of work, but you’ll quickly get the hang of it. This is also where your writing samples will come in handy, so be sure to have that ready before you start applying. As you start landing more gigs, you need to make sure that you build up your portfolio to help with your credibility. Having your own online portfolio will go a long way in impressing prospective clients if you put the right information on there. 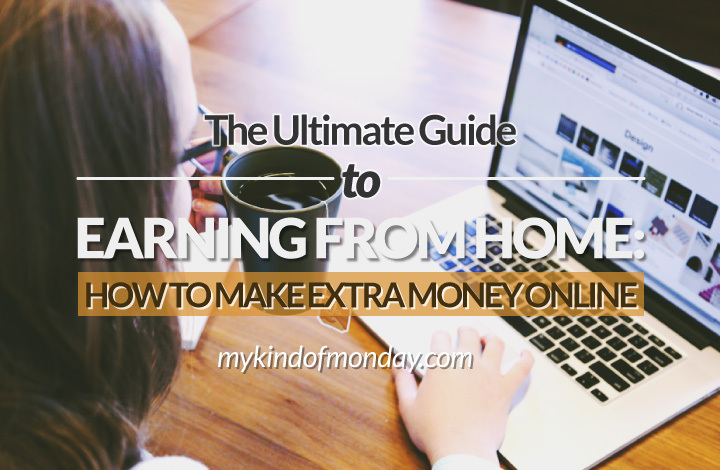 These days, it’s quite easy to start a blog and doesn’t require a big investment. A clean, simple layout will do the trick and you should include samples of all your best work. If you have worked with a big client, be sure to put that on there. You should aim to have relevant samples to the type of job you are applying for, so make sure you direct clients to the right pieces of work. If you receive positive testimonials from clients, be sure to feature these on your website. These are the types of things that can make the difference between you landing the job and someone else getting it. You can always ask people to provide you with a testimonial if you have previously guest posted on their site. Don’t be afraid to ask, testimonials go a long way in helping to build up your credibility. It took me awhile to get used to writing articles. I was so used to writing essays at university, where pretty much every sentence had to be perfect and every statement had to backed up by research and a qualified source. Freelance writing is a whole different ballgame. The types of articles I write now don’t even begin to compare to the stuff I wrote while I was at university. When I first started copywriting, it used to take me hours just to write a relatively easy 500-word article. I agonised over every word I wrote and nothing ever seemed good enough. Looking back, those first few articles weren’t great, but I’ve come a long way since then. The thing is, everybody starts somewhere. That’s what you need to remember. That, and the fact that nobody is perfect. There is lots of writing out there that isn’t exactly great, but it’s out there. The reason it’s out there is because somebody wasn’t afraid to put it out there. 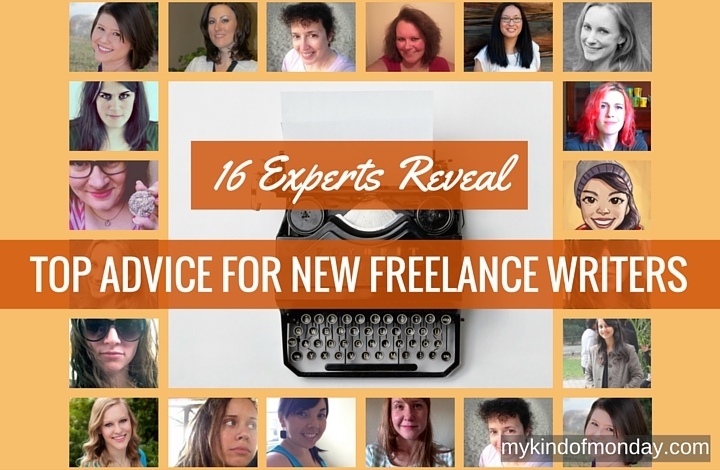 Remember, there’s never going to be a perfect time to start freelance writing. 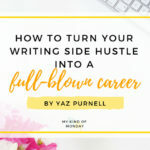 You can’t keep putting things off until there’s a time when you feel like you have all the necessary skills and knowledge to succeed as a freelance writer. You just have to go out there and do it. You’ll never succeed if you don’t try.